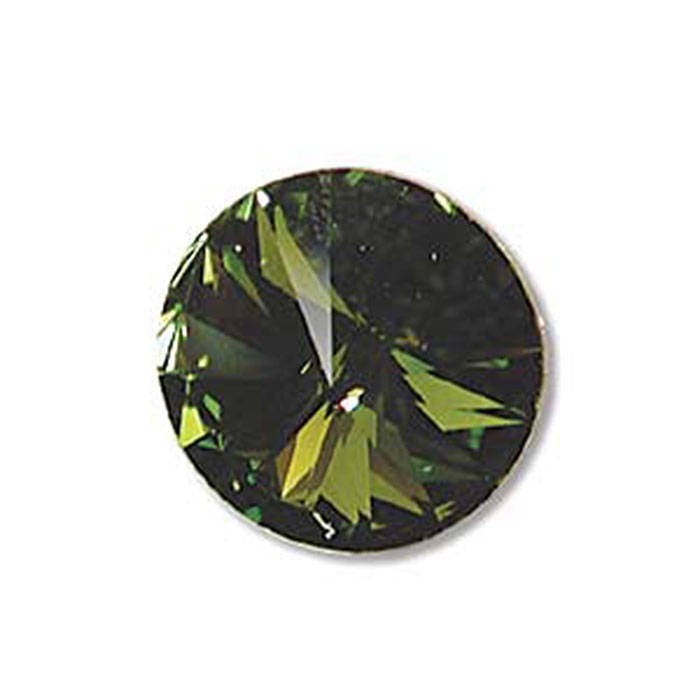 Swarovski 1122 Olivine 12mm foil back rivoli. These rhinestones flash with a captivating sparkle. 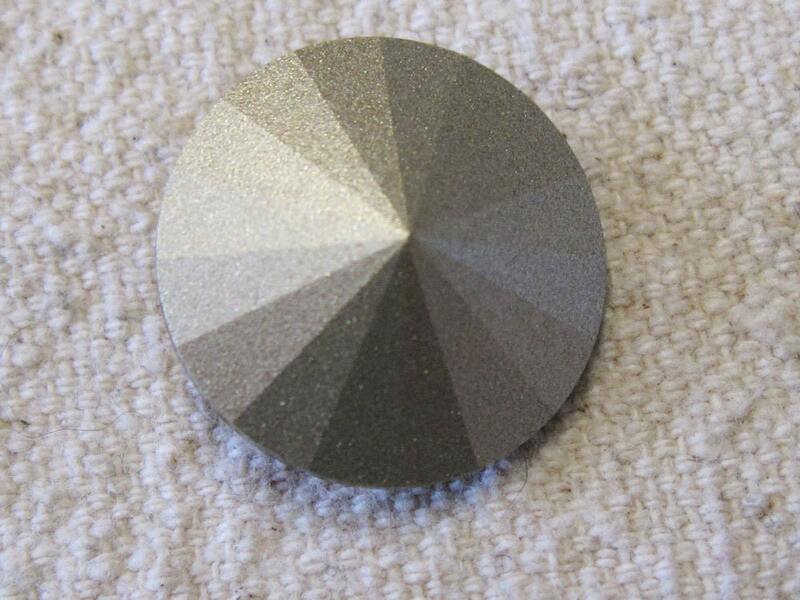 Rivoli rhinestones have no holes and have a single-sided foil backing that creates intense reflectivity. Pointed top and bottom adds increased depth and sparkle.